In this midterm election season, media coverage is dominated by numbers. As the science behind public opinion research advances, this only makes sense, as statisticians are increasingly able to predict electoral outcomes. Moreover, a focus on the numbers is an easy way to add drama to an election, as the complex debates that might ideally characterize our political life, but which are less telegenic, are transformed into events with all the drama of the Super Bowl. Unfortunately, while this focus on the numbers might build interest in the election, it can also work against a deeper understanding of its meaning. If politics were little more than a scorecard, we might expect that a win for one team rather than the other might really have significance for our political future. After all, a tremendous amount of time and money is spent on winning, not to mention that citizens themselves often become deeply invested in one party or the other, so that a particular outcome really seems to matter a great deal. And yet, in the case of the 2014 midterm elections, it’s quite possible that not much would have changed regardless of who won, at least in terms of national politics. For instance, the 113th session of Congress, now coming to a close, ranks among the least productive sessions in modern history. This is a title it shares with the 112th session, and with the 104th, which happens to be the session of Congress led by Newt Gingrich, in opposition to the Clinton White House. Had the Democrats maintained their majority in the Senate, we could expect more of what we’ve had in the past two sessions. However, while the Republicans have taken the Senate, they lack the votes to overturn a Democratic filibuster, let alone a Presidential veto. Therefore, while legislative initiative has changed hands, so that Republicans can now be more active rather reactive, if the 104th session is any indication, the deep partisan divide will continue to define politics. Given this likelihood, we might ask some other questions about this election. If the American people haven’t been presented with two different legislative agendas so much as they’ve been presented with two different forms of gridlock, how do we explain that these are the choices? If the scorecard outcome of the election doesn’t explain this, as it begins and ends with the “winners” and “losers” in the game of vote getting, this underlying issue holds much deeper meaning. However, to see it, we have to move past the numbers, in favor of a broader political analysis. In his work, The Politics Presidents Make, American Presidential scholar, Stephen Skowronek, advances an idea that can help us make sense of current electoral politics. For Skowronek, American presidents are given tremendous powers to advance their own legislative agendas; however, they have to do so in a context that they inherit from their predecessors. As a result, American presidents have often been much more constrained than they often appear. Not only does a president have to contend with the more overt obstacles found in past political coalitions, but, perhaps more difficult to surmount, presidents operate within an ideological climate that they do not create and which acts to confer legitimacy on certain types of actions and illegitimacy on others. What emerges, for Skowronek, is that it is only in the rarest of occasions that a president is elected in an environment in which the previous political coalitions and the previous ideology are sufficiently faltering, so that they can then create a new American status quo that shapes how Americans view politics. Only a handful of presidents have managed to do so, and for Skowronek (among many others), the last such president was Ronald Reagan. At this point, we begin to find the answer to our question about the midterm election: ever since Reagan, Democratic presidents have been elected in an environment that was, in some fundamental ways, defined by their political opponents. Lastly, none of this is to suggest that the parties involved—either the Republicans or the Democrats—understand what they’re doing in these terms, as individual political actors are immersed in the political world, and not always concerned with broader historical analysis. But it is to suggest that when we look at elections, be they the 2014 midterms or the upcoming 2016 elections, that we are wise to look beyond the scorecard approach to politics, in favor of a broader historical analysis. The scorecard approach can make it seem like the choices we have are the same choices we’ve always had, but history shows that the game itself sometimes changes. We might like those changes or not, but we are always better for seeing them. 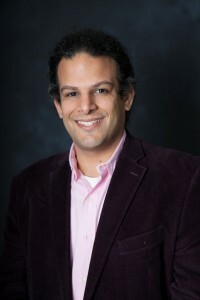 Dr. Jamie Aroosi is visiting assistant professor of political science at Yeshiva University. The opinions expressed above are solely those of the author and should not be attributed to Yeshiva University.